SOS Distress Light - Electronic Flare. 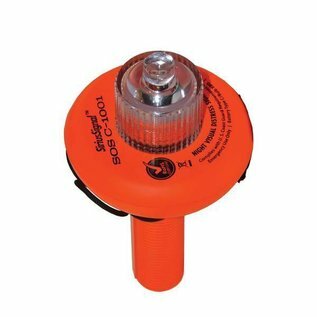 The SOS Distress Light is the first and only LED Visual Distress Signal Device that meets U.S. Coast Guard requirements to replace traditional pyrotechnic flares on many vessels. Unlike traditional flares, this electronic flare never expires, which solves the problem of flare disposal. 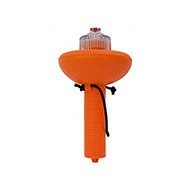 This floating electronic flare can be hand-held, tethered, or hoisted aloft. It runs up to 60 hours, unlike traditional flares which last minutes or less. 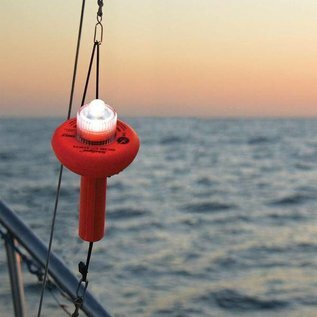 This LED flare is an acceptable replacement for pyrotechnic flares on all recreational boats. We believe that it is (or soon will be) acceptable on certain classes of commercial vessels. As we learn more, we will post the information in this spot. 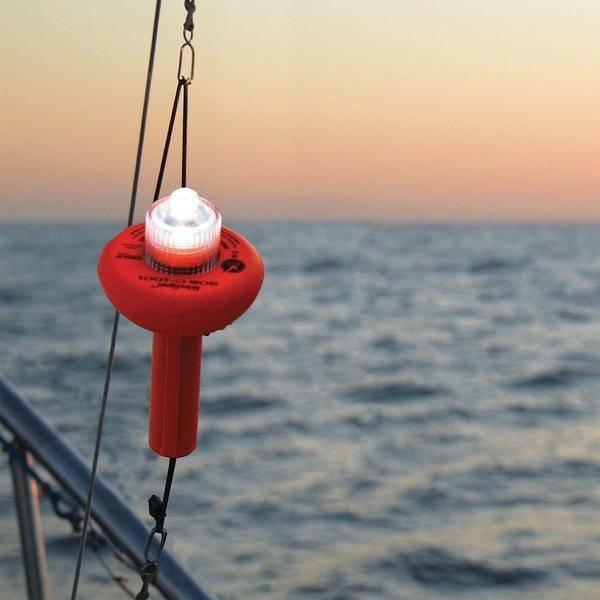 It is not approved as a replacement for SOLAS distress signals on larger seagoing vessels.